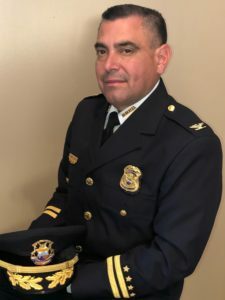 Chief Leonel Lopez started his career at the Wayne County Sheriff’s Department in Detroit in 1990. He joined the River Rouge Police Department in 1994 working in the Uniform Division as a Patrol Officer. Chief Lopez served in several capacities throughout his career. He worked as an undercover narcotics officer assigned to the Michigan State Police DRANO unit. He worked as a Detective in the Criminal Investigation Section working on a variety of crimes involving, thefts, robberies and homicides. Later supervising the Criminal investigation Section. He rose through the ranks as Corporal, Sergeant and Lieutenant. He was promoted to Inspector in Charge of Uniform Patrol Division and Police Administration. 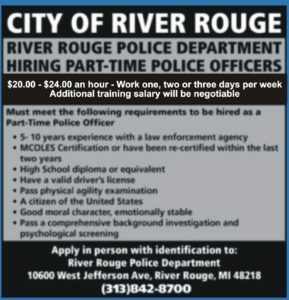 Chief Lopez is proud to work in the City of River Rouge. There are many lifelong residents within the city and he is committed in maintaining a close relationship with the community. 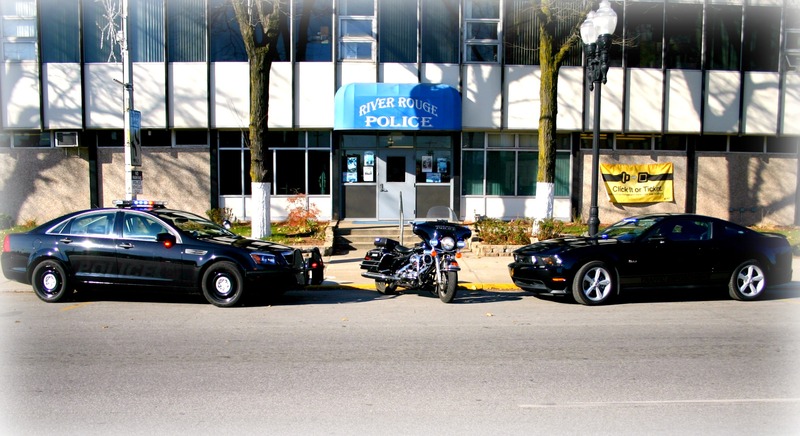 He is dedicated to keeping City of River Rouge as a safe family oriented place to live. He will continue to ensure that the citizens are supported. He looks forward to ensuring that there is involvement in community initiatives that will continue to make River Rouge a great place to be. Another very important thing for Chief Lopez, is being an effective leader with the men and woman that work under him. Being effective will provide a better police relationship within the community that the department serves. Chief Lopez will be working closely with Mayor Bowdler and shares the same vision in continuing to help the community grow and prosper.